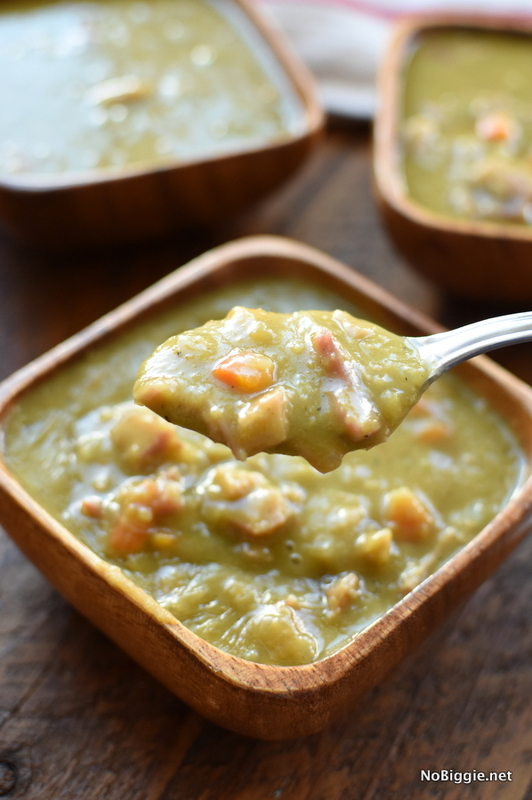 Classic Split Pea Soup is always a favorite. Learn how to make it from scratch. 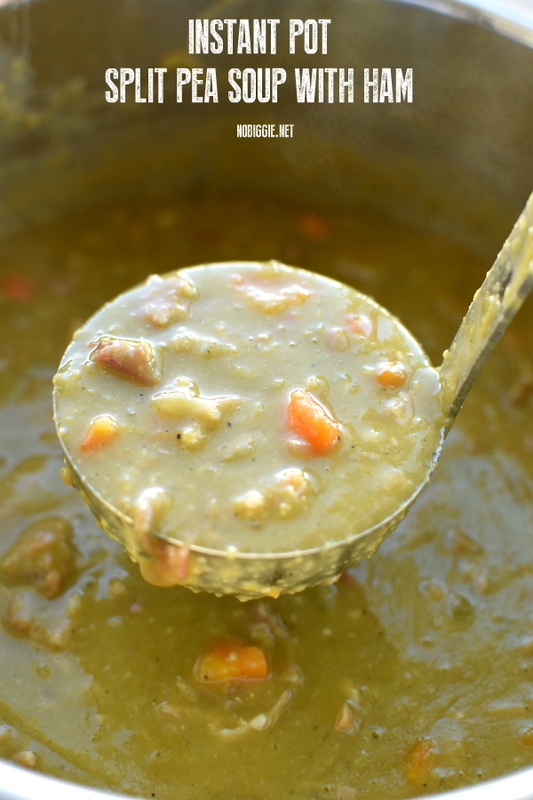 Split Pea Soup…you either love it or you hate. I’m in the “love category”. It’s one of my favorites. 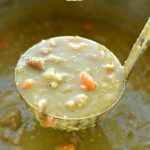 When we were doing an elimination diet, and we were off things like dairy and gluten; split pea soup was a great option for us. You just can’t beat a homemade soup. If you ever have leftover ham or leftover ham bone, this is a great way to use up those leftovers. The ham gives it a delicious smokey flavor. Split Peas are so inexpensive (under a dollar for a pound in the bulk food section), plus they look cut in a jar in your pantry! -Set your Instant Pot to the sauté setting. Add the butter, onion, celery and carrots. Sauté for 5-7 minutes until the onion is translucent and the rest is softened. -Add the dried split peas, water with the Better Than Bouillon flavor, ham bone and seasonings. -Lock the lid in place and set it to the sealed setting. Set the pressure cooker to the pressure setting for 15 minutes. Allow it to come to pressure before you see the 15 minutes count down. -After the cook time is up, allow the pressure to release naturally 10-15 minutes. -If using a ham bone remove it from the soup and take off any ham on the bone, shred it and add it back to the soup along with the rest of the ham. -Add any additional seasonings if needed. Serve warm. Will keep in the fridge up to 1 week. -Will keep in the freezer up to 6 months. -Once chilled in the fridge, the soup will thicken up especially if it was cooked with a ham bone. When you reheat the soup, you can add water and more seasonings to thin it out. -Add the remaining ingredients, bring to a boil, cover with a lid and simmer for 1 hour or until the split peas are tender. -To make this in your slow cooker add all the ingredients except for the butter. Cook on low for 8 hours or on high for 4 hours on until the split peas are tender. 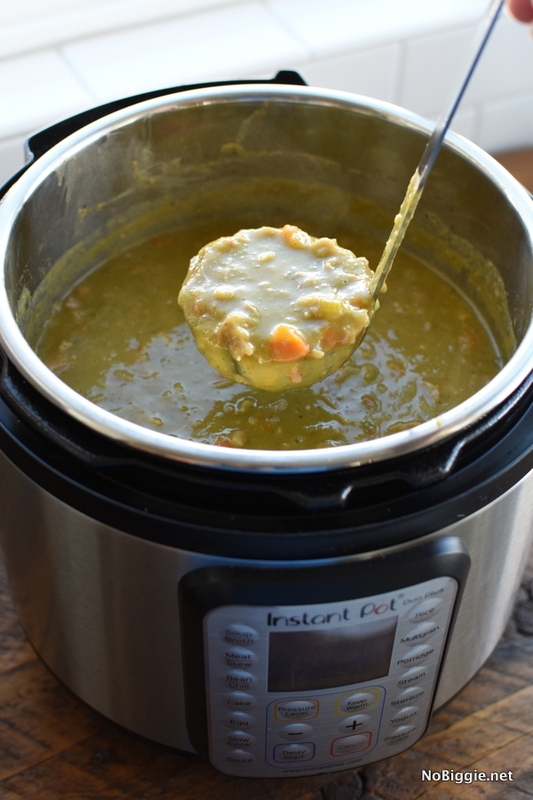 -In the instant pot the split peas really dissolve and do not keep their shape. The flavor is still delicious, just know the texture is different than when cooked on the stove top. -If you don’t eat pork you can substitute with a smoked turkey leg. 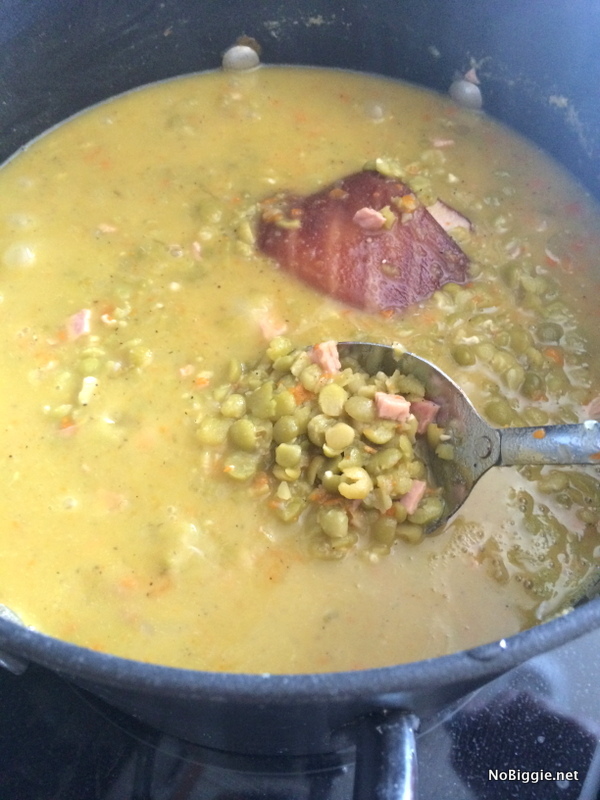 Classic Split Pea Soup with Ham is pure comfort food on a cold night. Feed a crowd with this recipe. Traditional stove top directions and Instant Pot Pressure Cooker directions included. Place the dried peas in a large pot or glass bowl, cover with water by 2 inches and soak overnight. Drain the peas and set aside. In a large pot, melt the butter over medium-high heat. Add the onions, celery and carrots; and cook stirring often just until they are soft, about 3 minutes. Add the minced garlic and cook for 30 seconds. Add the ham hock into the pot. Continue to cook and stir. Now add the drained peas and seasonings. Add the water and Better than Bouillon flavor. Cook for 1 hour stirring occasionally, until the peas are tender. Add more water as needed, if the soup becomes too thick. If using a ham bone remove it from the soup and take off any ham still on the bone, shred it and add it back to the soup. Adjust the seasoning to taste before serving. Set your Instant Pot to the sauté setting. Add the butter, onion, celery and carrots. Sauté for 5-7 minutes until the onion is translucent and the rest is softened. Add the dried split peas, water and Better than Bouillon flavor, ham bone and seasonings. Lock the lid in place and set it to the sealed setting. Set to the pressure setting for 15 minutes. Allow it to come to pressure before you see the 15 minutes start to count down. After the cook time is up, allow the pressure to release naturally 10-15 minutes. If using a ham bone remove it from the soup and take off any ham on the bone, shred it and add it back to the soup along with the rest of the ham. Add any additional seasonings if needed. Serve warm. -The soup will keep in the fridge up to 1 week. Once chilled in the fridge, the soup will thicken up especially if it was cooked with a ham bone. When you reheat the soup, you can add water and more seasonings to thin it out. -To make this in your slow cooker add all the ingredients except for the butter. Cook on low for 8 hours or on high for 4 hours or until the split peas are tender. -If you don't eat pork you can substitute with a smoked turkey leg. You’ll have to try making Split Pea soup from scratch at home. The best part is that you can make a big batch and freeze some for later. This recipe feeds a crowd. What’s your favorite soup to make at home?